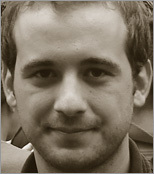 *Dr. Georgios Gousios* is an assistant professor at the Software Science group, Radboud University Nijmegen. His research interests include software engineering, software analytics and programming languages. He works in the fields of distributed software development processes, software quality, software testing, developer productivity assessment, research infrastructures and software security. His research has been published in top venues (ICSE, FSE, EMSE, MSR) where he has received 4 best paper awards. In total, he has published more that 40 papers and also co-edited the ``Beautiful Architectures'' book (OReilly, 2009). He is the main author of the GHTorrent data collection and curration framework and the Alitheia Core repository mining platform. Dr. Gousios holds a PhD in Empirical Software Engineering (mining software repositories) with distinction from the Athens University of Economics and Business (AUEB) and an MSc (software engineering) with distinction from the University of Manchester. "Spinellis and his co-editor Georgios Gousios have done a good job of selecting interesting essayists and of putting their works together into a collection that feels solid. Reading it will certainly make you think more about your own project's architecture...Whether it's something you're building on the weekends or on the job, Beautiful Architecture will certainly do your code base good."